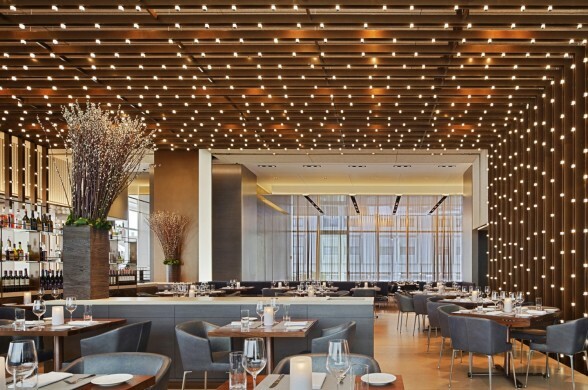 Located at 450 East 29th Street in the neighborhood of Kips Bay, the Riverpark is a beautiful restaurant located inside a hotel overlooking the East River in Midtown East Manhattan. Chef Shisha Ortuzar’s fancy restaurant is one of the best in the city where you can relax in a quiet, stunning dining-room, enjoy a conversation with your guests, and fully enjoy the city views. Their food is excellent, light and delicious. The East & West Coast Oysters are one of my favorite appetizers, and so is their Cucumber Gazpacho. They also have a good selection of pastas such as Bigoli with tomatoes, Riverpark Farm herbs, garlic escapes, castelmango and bread crumbs (a treat you will never forget! ), as well as Spaghetti with calamari, clams and shrimp (yes, a true delight!). For main course you can enjoy their duck, or chicken, or trout, lamb, pork, or the halibut. 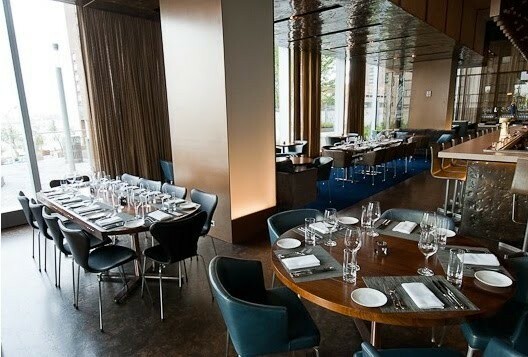 The prices are from $30-$55 for an entree, but you can also get a whole roasted fish for two at $73 or a grilled dry-aged rib eye for two at $125. You really can’t get better than this! Don’t forget to check their wine and beer selection. 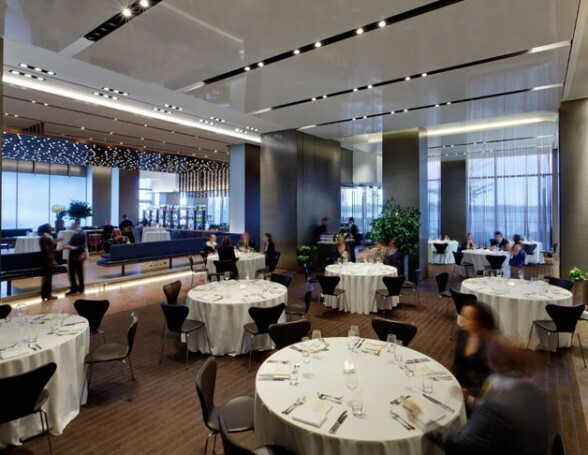 Another interesting feature is Riverpark Farm’s Dinners; take a look at their website for more information: www.riverparknyc.com Ask your server for what drinks to have with your food choice. You may find it a bit strange that this amazing restaurant is located so far east in an area that doesn’t look like Manhattan. However, you’ll find the Manhattan views from there truly spectacular.